Let’s go paddling and cleanup Sand Island waters and beach this sunday 10-12 noon! 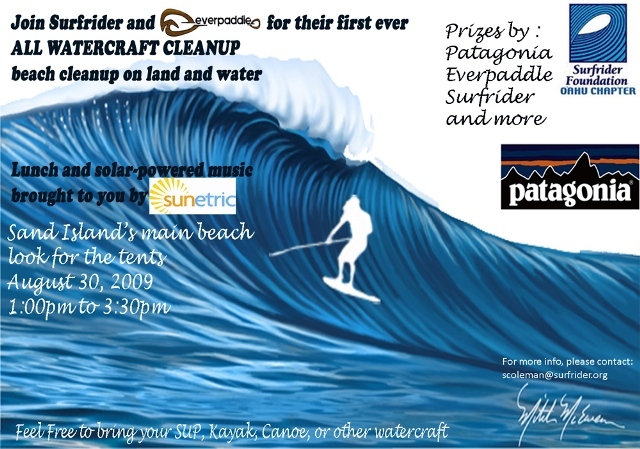 Everpaddle is sponsoring Surfrider Foundation Oahu’s first all water craft clean up at Sand Island’s main beach (middle parking lot closest to the sand). We will have a bunch of our SUP boards and paddles with deck bags to carry garbage. This is Todd Bradley of C4 Waterman’s last installment of the paddle technique video series. HONOLULU, August 27, 2009 – Waikiki beachboy Alika Willis, 45, might not have made it to the final of the C4 Waterman Standup Beachboy contest, but anyone familiar with the company of C4 Waterman and the story behind Duke’s OceanFest, knows that its spirit doesn’t lie in competition. Duke’s OceanFest is a celebration of the life of the greatest waterman who ever rode the waves – Duke Kahanamoku. C4 Waterman is a company founded on the principles that Duke stood for: a passion for riding the waves and a mission of sharing aloha with any person open to receiving it. Respecting that, the top honor of Waterman of the Event today went to Willis. Kings Beach, CA – August 24, 2009 – Lake Tahoe local, John Merryfield, doesn’t take animal abuse sitting down. That’s why he is going to stand-up paddle the circumference of Lake Tahoe to raise awareness for animals on factory farms and much needed funds for Farm Sanctuary, the nation’s leading farm animal protection organization. 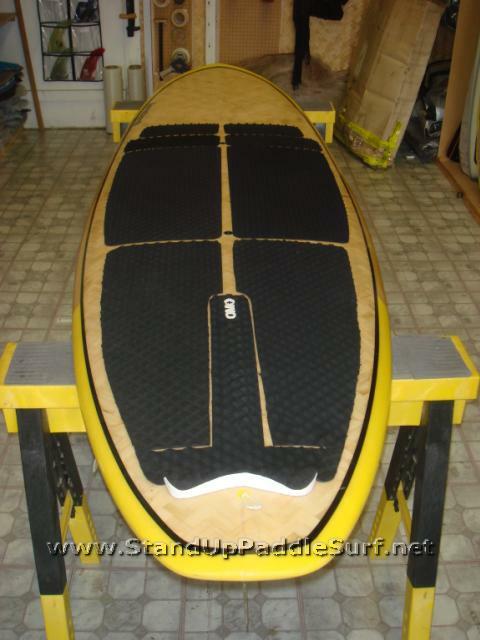 Here’s a peek at the new Surftech Gerry Lopez SUP line. I found this on youtube the other day and thought it was pretty funny. I’ll be at the Duke’s race on Saturday. I hope you can make it and if you see me, please say, “Hi”. HONOLULU, August 24, 2009 – Surfers from around the world are gathering here in Waikiki to remember the greatest waterman of all time: Duke Paoa Kahanamoku, born August 24, 1890. In honor of his life, the annual Duke’s OceanFest is underway, staged at Queen’s Beach at the foot of his bronze statue and on the sands where surfing, as we know it today, began. While a single Olympic gold medal is enough to substantiate many an athlete’s life, Kahanamoku won six, three gold for swimming, two silver for swimming, and a bronze for water polo. Yet today he is most widely renowned for being the father of modern day surfing. 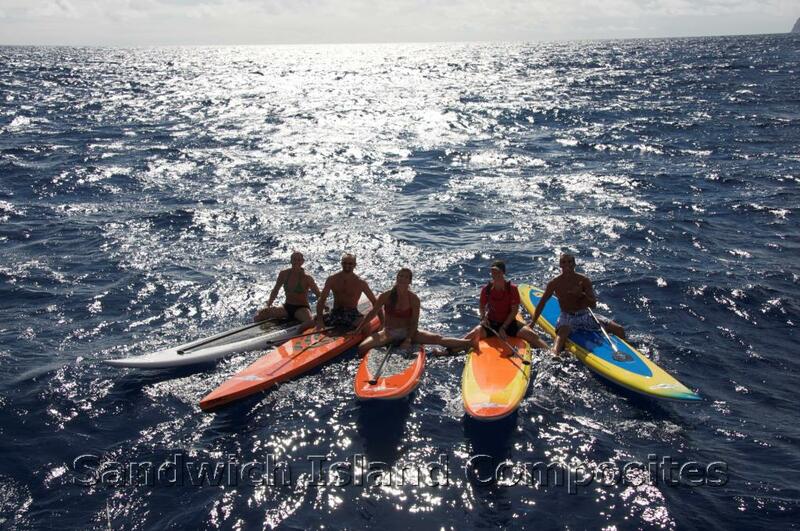 Here is video part 2 of the 2009 Rainbow Sandals Molokai to Oahu Paddleboard Race last July 25. Check it out. Better late than never…here is the video (part 1) and more pictures of the 2009 Rainbow Sandals Molokai-Oahu PaddleBoard Race. Mark Raaphorst and his Sandwich Island Composites Team did a great job with these photos on their Molokai Trip. Mark sent me these to share with everyone. Enjoy the images. Here is part 2 of my interview with Dave Parmenter at the Kaimana Beach. This part focuses on tips for downwinders. Check out the video and get some more tips from the C4 Waterman co-founder. Here’s Kumau from Tropical Blends showing a Tropical Blends Kyle Bernhardt custom 9′2″ SUP. Check out the video for more info. It is my pleasure to invite each of you to the first annual Starboard SUP wave fest…at the Orlando Disney World…Typhoon Lagoon Wave Pool. Steve Sjuggerud turned me on to this a few months ago…and I was able to book an Exclusive wave party for the night of August 20th, 2009. 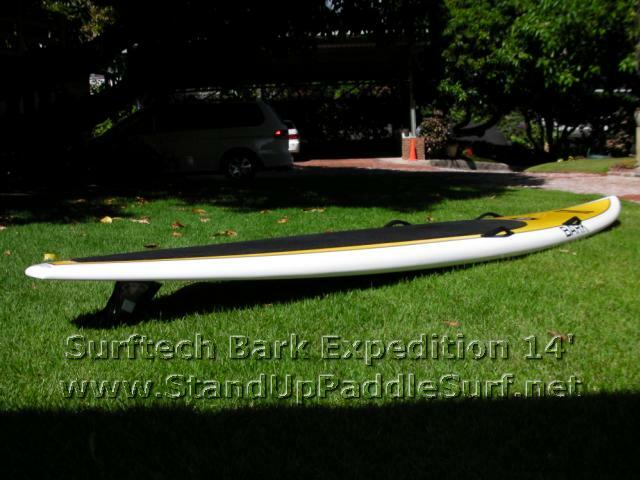 After a fairly long wait, I finally got my hands on the Surftech Bark Expedition 14′ Race/Cruiser SUP. At first glance, I started to question how it would perform since it was pretty different from anything else I’ve seen or ridden so far. Most of the planing hull race boards I’ve seen have been over 5″ thick, boxy rails, sharp bottom rail edge, concaves on the bottom, thick nose, thick tail, etc. The Bark is quite different. 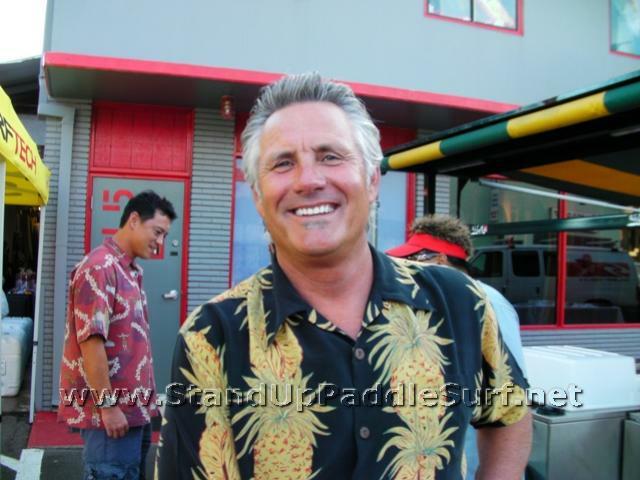 You are currently browsing the Stand Up Paddle Surfing in Hawaii - StandUpPaddleSurf.net weblog archives for the month August, 2009.